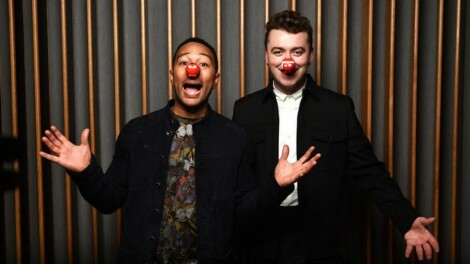 In honor of Red Nose Day 2015, Sam Smith and John Legend recorded a duet video of “Lay Me Down” and it is just as amazing as you imagine it would be! I love this song, as is, but add John Legend into the mix and you have perfection! Check out the Sam Smith and John Legend duet below! This duet will serve as the official song for Red Nose Day 2015, which is a star-studded comedy event that raises money to help those affected by poverty across Africa and in the U.K. and is sponsored by Comic Relief. The video is pretty touching and their voices are beyond amazing! They will also be performing a special version of the song on Comic Relief – Face the Funny, which will be telecast live on Friday on BBC 1.